Home / BATHROOM REMODELING AND MAINTENANCE INFORMATION BLOG / Are You About to Remodel Your Bathroom? Look at This Design Element First! Are You About to Remodel Your Bathroom? Look at This Design Element First! If you’re about to remodel your home or apartment bathroom, you may be looking to capitalize on the newest trends. 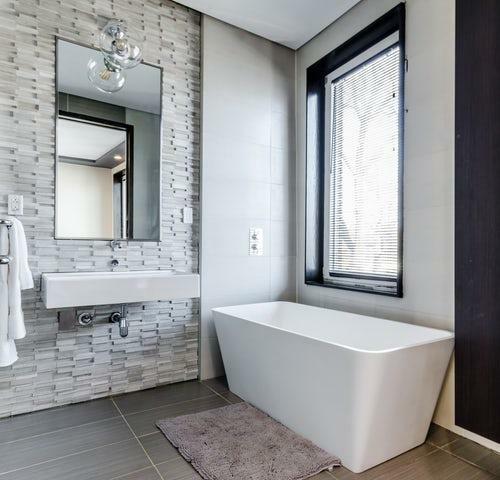 Remodeled bathrooms increase a home’s value, so what should you be adding? Fancy imported tile? Designer cabinets? While these may temporarily add snazz to your space, a better investment would be something that adds long-term value to your home — a window in the shower! Bathroom Windows as a Design Element? A shower wall window gives your bathroom a modern, updated feel. The window could be made of glass blocks for a private, contemporary feeling or have any range of bamboo blinds, wooden shutters, or wispy curtains to solidify your design aesthetic. Rough stone window sills can imbue a rustic cabin feeling, while crisp white wood gives a modern, traditional look. The options are endless! Windows in the shower also give your bathroom a beautiful, natural source of light. Whether it is from a skylight over your shower or a transom window above it, this year-round source of sunlight opens a bathroom up and gives it a tranquil feeling. Depending on your privacy needs, the window can be cut high enough for shower-goers to peek outside and view the landscape or have privacy curtains. Or, if you’re lucky and have distant neighbors, the windows can be full shower walls encapsulating your shower and bathtub! Being able to glance out the window from a shower or bath also means you can enjoy each season while inside. When it’s sunny and hot or snowy and cold, you can watch the leaves fall while you wash away the day’s stress. 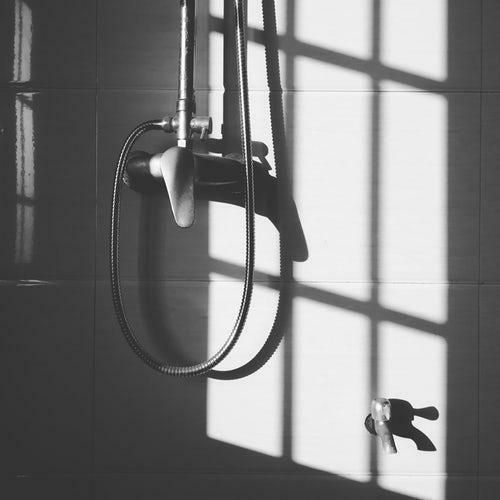 While it’s certainly not the most glamorous reason to have a window in the shower, installing windows in your bathroom can help with the excess moisture and humidity that showering and bathing can leave. Getting rid of this humidity can help avoid yucky mold and mildew from growing and keep your bathroom linens fresher. A nice breeze on a hot summer day doesn’t hurt, either! How Do I Install a Window in a Shower? For a project like this, you’ll want to start by buying a shower kit from a trusted expert, like American Bath Enterprises. Their window install kits give the option of single or double windows, with several sizes for each style to choose from. While you’re at it, you’ll want to upgrade your whole shower and tub, too! American Bath Enterprises not only offers incredibly high-quality showers and window options, their products are made in the USA. they offer helpful drawings, price lists, measurement guides, and installation videos so you know how to do it right! Not sure what kit you need or how to install a window in the shower? Their customer service is available to chat! Just call 1-888-228-4925 today, and get ready to enjoy your sunny new bathroom!